In a city where hundreds of interesting happenings occur each week, it can be hard to pick and choose your way to a fulfilling life. 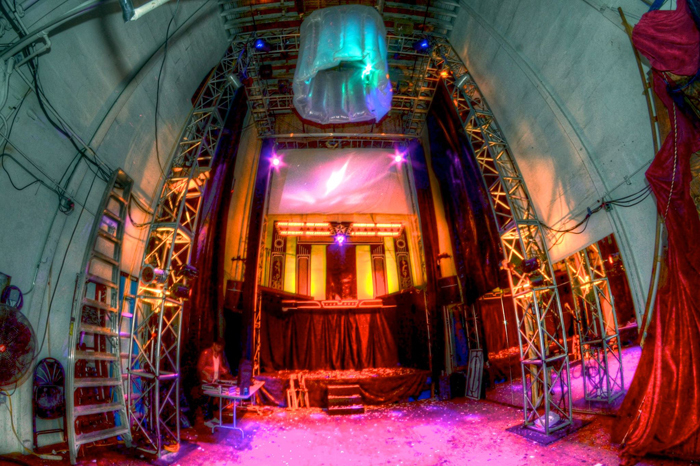 Art Nerd‘s philosophy is a combination of observation, participation, education and of course a party to create the ultimate well-rounded week. Jump ahead for Art Nerd founderLori Zimmer’s top picks for 6sqft readers! Before you take advantage of the open bar at your company’s holiday party, pack in some art appreciation. This week, celebrate the genius of Michael Alan and experience the last Living Installation of the year (think figure drawing on acid, but without the acid and a big party thrown in). Fantastical art supply warehouse Materials for the Arts will also be sharing the fruits of their labor with an exhibition of their artist in residence. 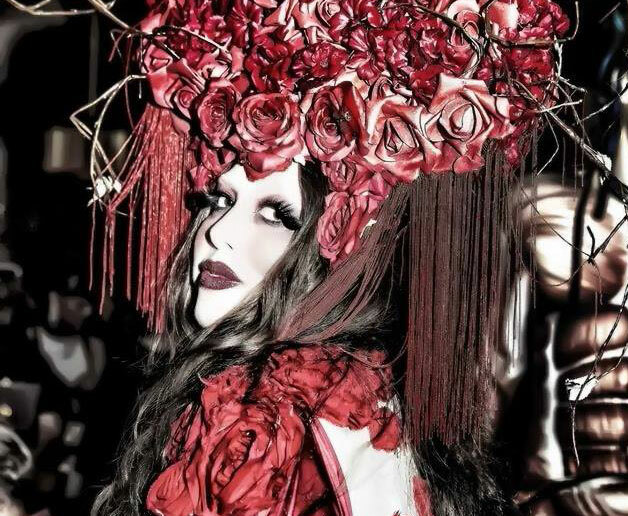 Nightlife icon Susanne Bartsch is throwing a special holiday party on the 22nd that benefits living work of art Domonique Echeverria. And Swoon will debut a sustainable bamboo house she’s created with the Lower East Side Girls Club as a prototype for rebuilding Haiti. You can also still squeeze in some last minute shopping if you celebrate Christmas—first by trolling the gift shop at the epic Star Wars Costumes exhibition, and then perusing the artists selling wares at the Shwick Holiday Market. 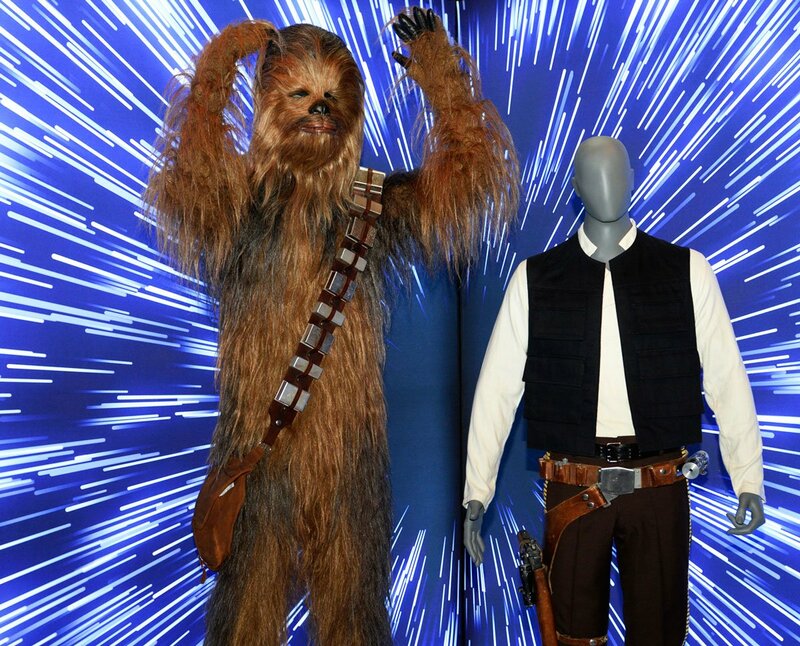 Get yourself psyched for the debut of “The Force Awakens” with this massive exhibition featuring 70 of the original costumes spanning the “Star Wars” saga. The exhibition is heavy on the Queen Amidala, and also includes Princess Leia’s famous slave girl bikini. Nerds, get there! Thursday, December 17, 6:00-9:00 p.m. If you’ve never been, Materials for the Arts is a complete art supply wonderland, supplying non-profits with donated art supplies beyond their wildest dreams. Tonight, MFTA honors one of its own artists in residence, Juan Hinojosa. 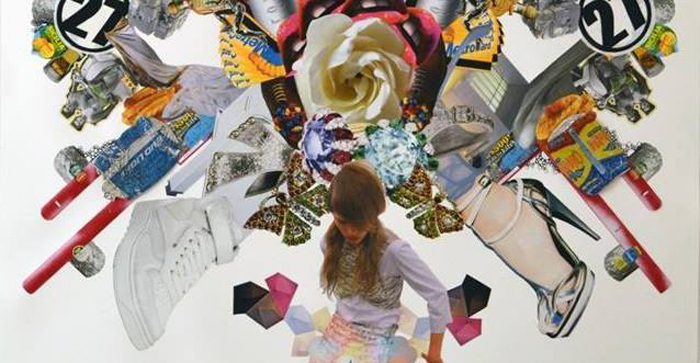 “Blond Ambition” continues the collage artist’s exploration of greed and obsessive consumption. Saturday, December 19, 1:00 p.m. 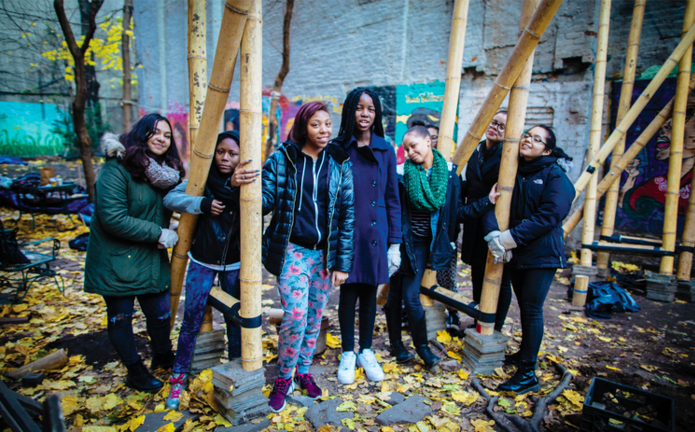 Artist Swoon has teamed up with the Lower East Side Girls Club to build a sustainable bamboo prototype to further her Heliotrope Foundation’s next step in helping to rebuild Haiti. Take a sneak peak at the bamboo prototype today at the First Street Garden. Saturday, December 19, 1:00-5:00 p.m.
Dorian Grey has proven it’s not fading away with the gallery’s five-year celebration this weekend. 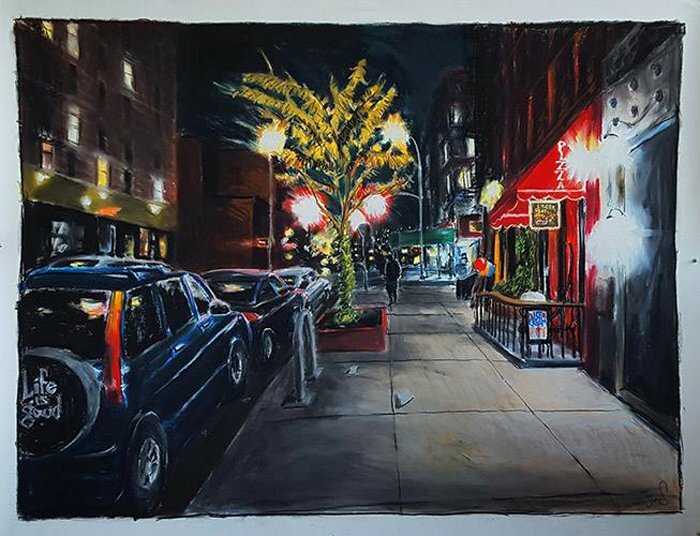 Enjoy holiday goodies, cocktails and pastels by James Romberger. Saturday, December 19, 6:00 p.m. 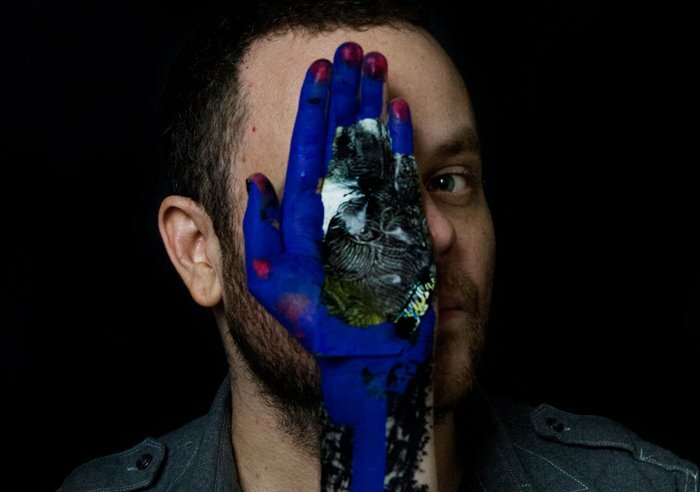 Artist Michael Alan has been holding his “Living Installation” sessions for years, inviting both artists and art onlookers to become a part of his work. Saturday’s event will last a whopping ten hours, inviting visitors to draw, hang out, drink, or simply socialize while Alan creates paintings and drawings—ON a cast of living models. It’s going to be a wild time. Sunday, December 20, 11:00 a.m.-6:00 p.m. The beautiful venue House of Yes opens its doors for some last minute gift buying with work from over 40 artists and vendors. It’s true there are a ton of holiday markets this year, but this one focuses more on design, fashion and art. Tuesday, December 22, 10:00 p.m.
Nightlife queen Susanne Bartsch hosts a benefit for inspiring nightlife darling Domonique Echeverria. Expect a holiday evening of shows, DJ’s, dancing and Christmas shopping at The Domonique Boutique. All proceeds will benefit Echeverria’s massive medical bills.